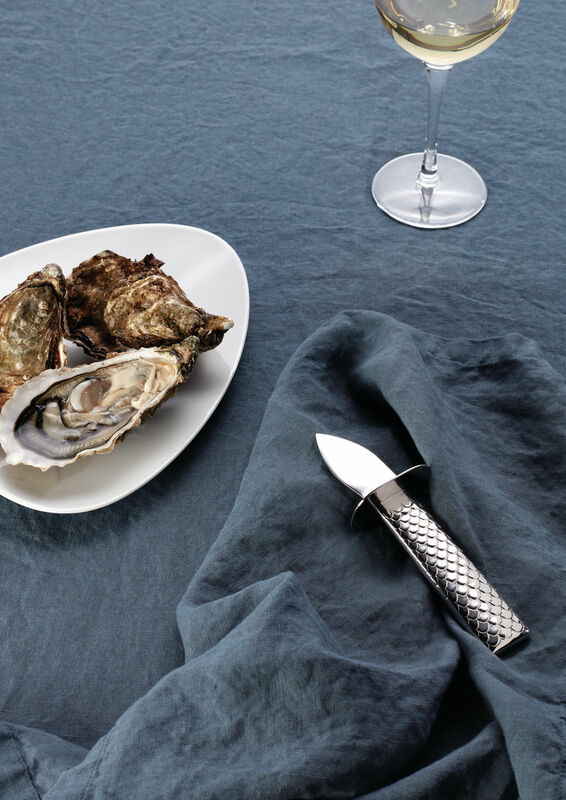 Oyster Knife, designed by Doriana and Massimiliano Fuksas for the Colombina Fish dining series. Roost, designed by Adam Goodrum. 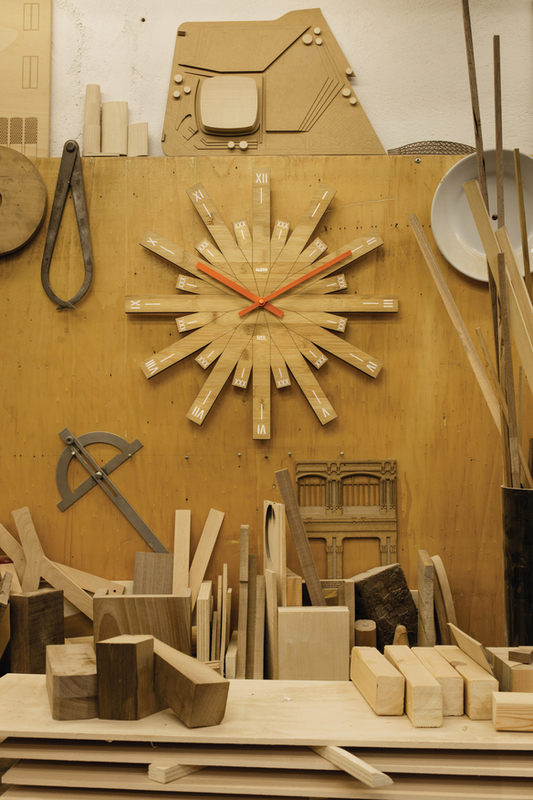 Raggiante bamboo wall clock, designed by Michele De Lucchi. 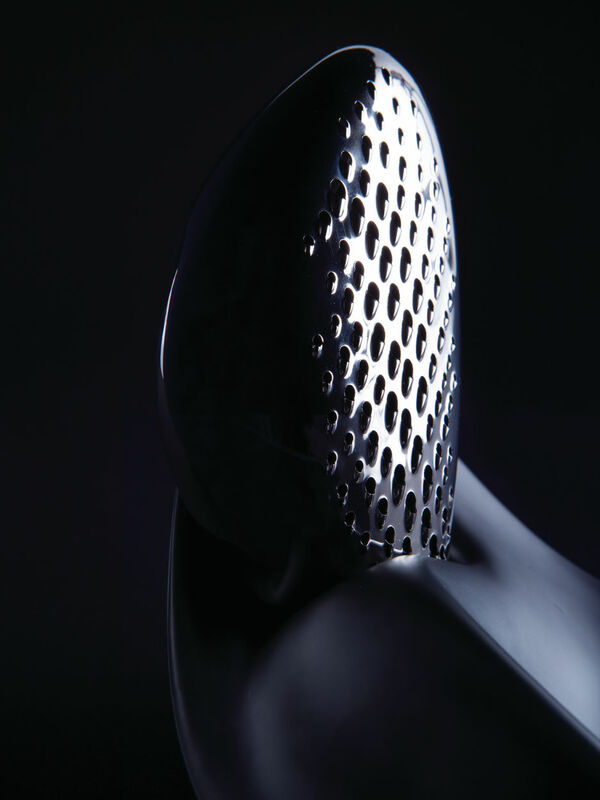 Forma grater, designed by Zaha Hadid. 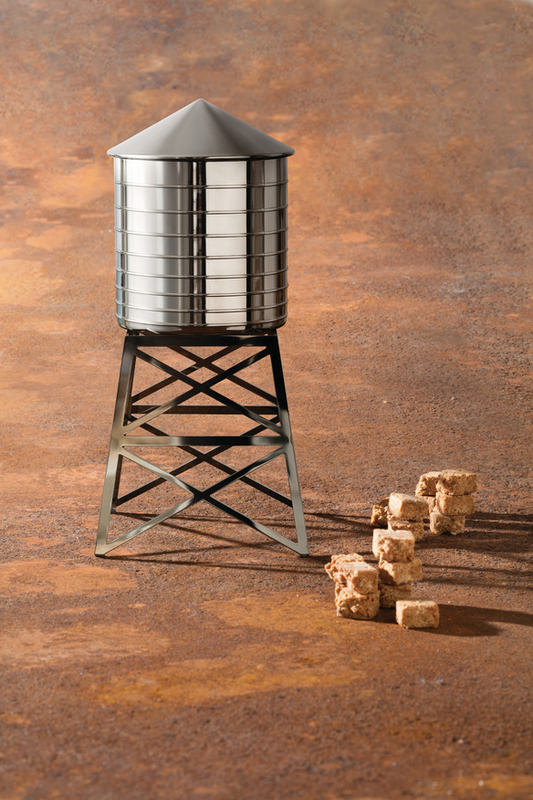 Water Tower sugar container, designed by Daniel Libeskind. 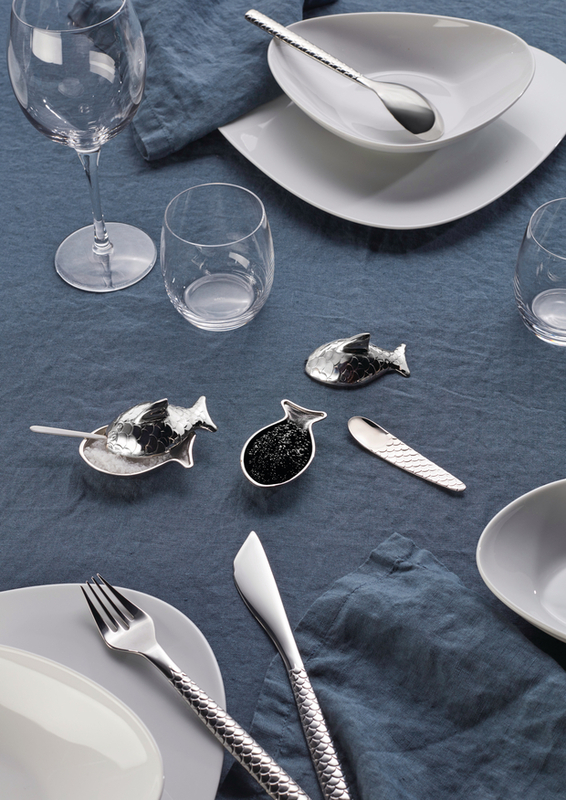 Salt Cellar (also holds caviar), designed by Doriana and Massimiliano Fuksas for the Colombina Fish dining series. Lovely Breeze, rocking bowl by Sakura Adachi. Noma insulated jug, designed by Naoto Fukasawa. 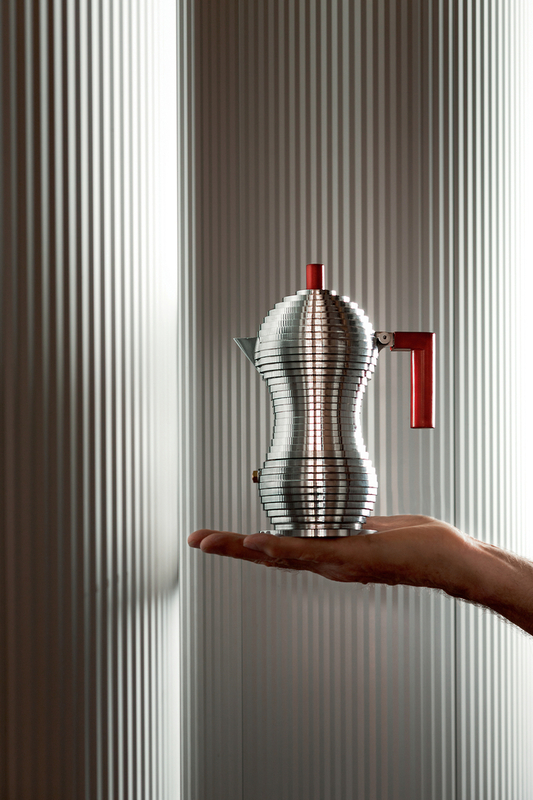 Pulcina espresso and coffee maker, designed by Michele De Lucchi. A stainless steel bottle opener fashioned after an ancient water divination stick. A loose-leaf tea infuser that mimics an antique pocket watch. A sugar canister in the form of a miniature water tower, perched upon four legs. 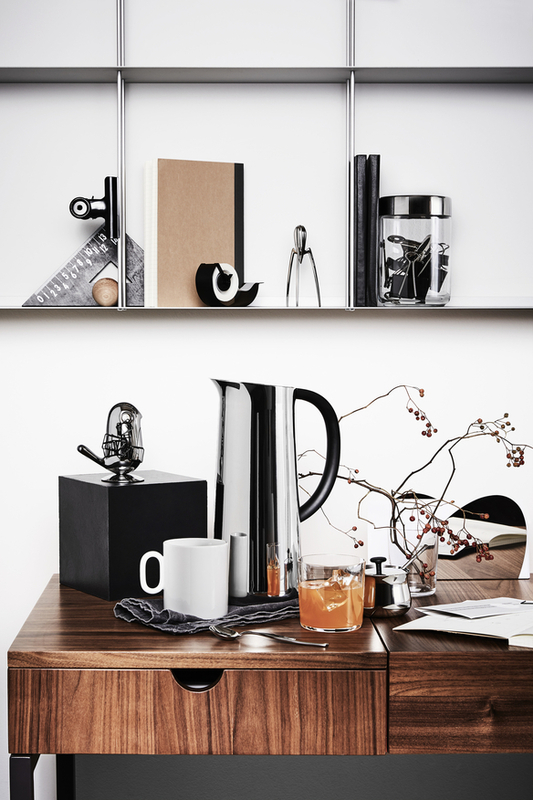 Where design minds reach far and free, Alessi listens. 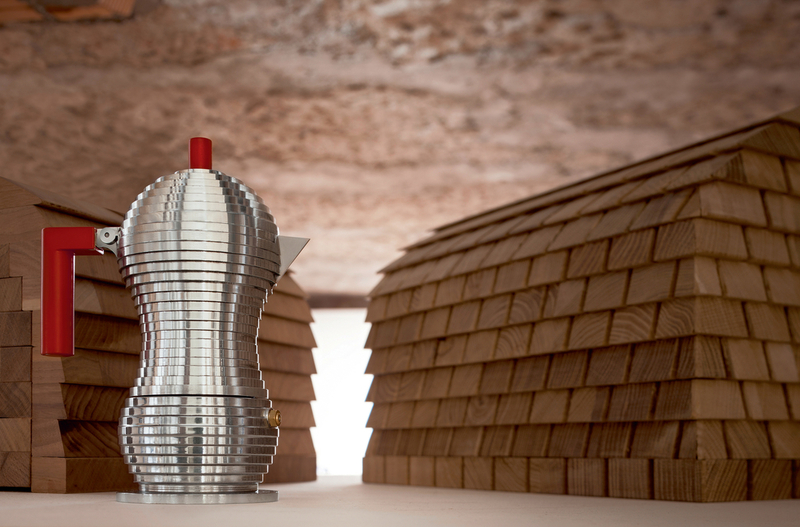 Another Pritzker Prize–winning architect contributes to the collection with a sugar canister resembling a small water tower. The Daniel Libeskind design is intended for either cubes or loose sugar and comes in black or stainless steel versions, the latter of which pairs quite nicely with the Pulcina stovetop coffeemaker. Created in conjunction with Illy Caffé, the original was produced in 2015 but this year’s version comes with a special filter that allows for both Italian espresso and American drip coffee to be brewed. To round out a well-set breakfast table comes Roost, a sculptural double egg cup from Adam Goodrum. 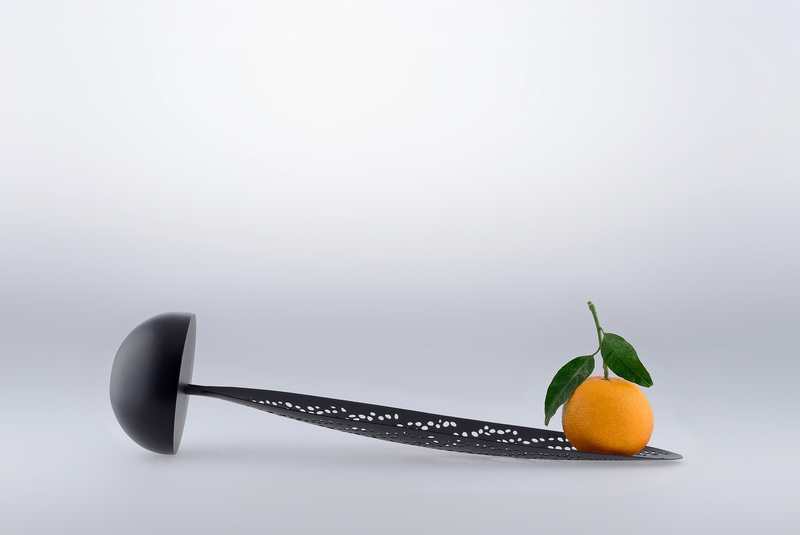 The emerging New Zealand designer won the 2015 Alessi Design Prize with this concept, and Alessi includes it as part of the Objet Bijoux collection (a line of small, elegant items presented in little black boxes). 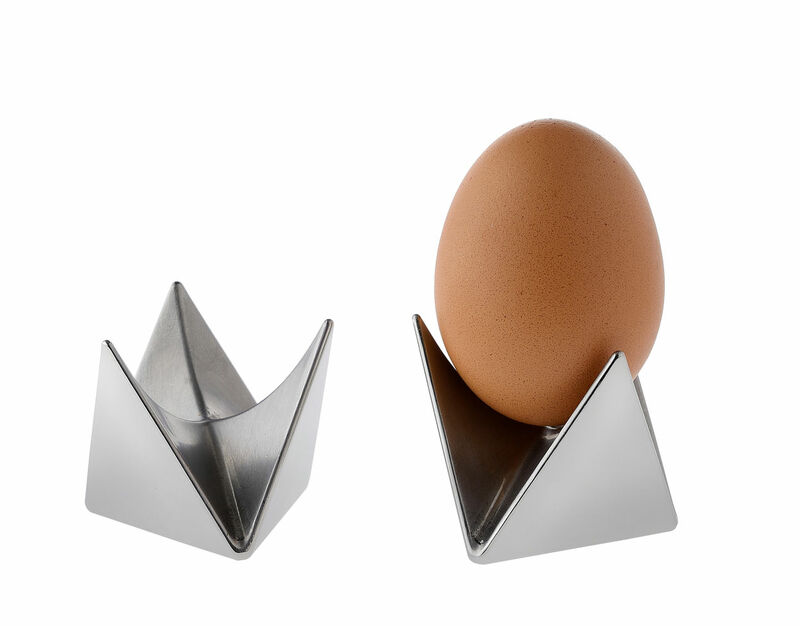 The egg cup duo stacks smartly top-to-bottom, nesting together as a countertop accessory while opening up extra counter space, too.